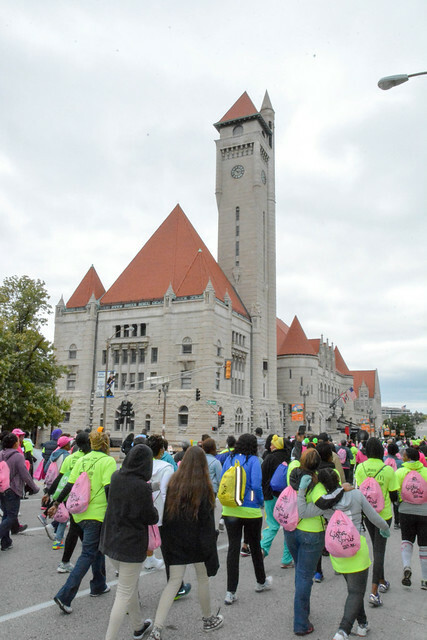 The annual Sista Strut Breast Cancer Walk takes place Saturday, Oct. 3 at Soldiers Memorial in downtown St. Louis, and Metro is the perfect way to get there. Metro will operate additional MetroLink trains as needed on Saturday morning to accommodate walkers heading to the Sista Strut event. You should ride the train to the Civic Center MetroLink Station and walk a few blocks north to reach Soldier’s Memorial. Please allow a little extra time for your trips on MetroLink this weekend due to scheduled maintenance work. 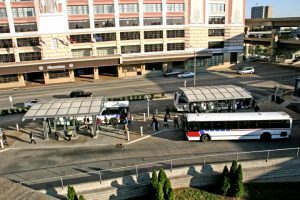 You can also take MetroBus to get to Sista Strut. 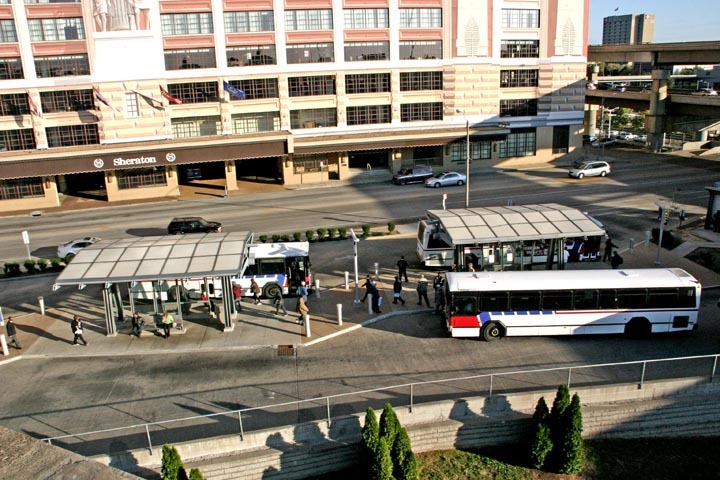 Thirteen MetroBus routes serve the Civic Center Transit Center, located at the corner of 14th and Spruce Streets, just a few blocks south of Soldier’s Memorial. The walk is scheduled to begin at 8 a.m., starting on 14th Street at Chestnut. It will proceed south on 14th, west on Market, north on Jefferson, east on Olive, south on 13th and end at Chestnut. Streets are expected to close beginning as early as 3 a.m. Saturday. Specific details and individual maps for reach reroute can be found in the Rider Alerts section of our website.